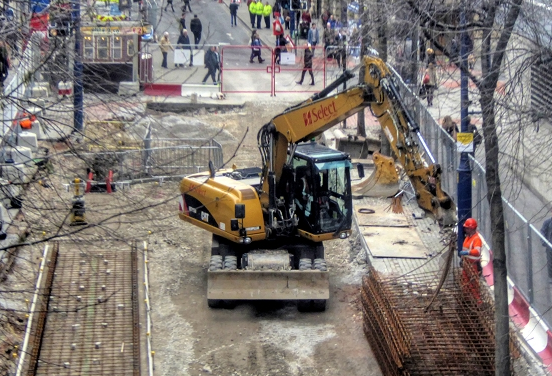 A June 2015 report recently released by the industry association Associated Builders and Contractors had good news for the construction industry. The report indicated that for the first time since October of 2014, construction unemployment rates dipped below ten percent in all fifty states. Western states and part of the Mid West were doing well with construction projects. Meanwhile, other parts of the Mid-West, parts of the deep South, and southern New England were seeing fewer projects than other parts of the country. Why is this report only fairly good news? Because it also indicates that a noticeable number of new projects were canceled or delayed in June. This didn't happen due to a lack of funding money, but rather a lack of qualified workers to work on the projects. The report's author, economist Anirban Basu doesn't think that this means that construction firms will be starting fewer jobs in future. But a sizeable gap remains between the number of jobs opening up and workers with the skills to complete them. Basu noted that construction firms will be competing for these workers with other firms as well as with other industries, such as mining and engineering. Firms should expect to pay sharply higher wages to qualified workers as well as increased benefits. Sectors in the industry that remain strong are residential and general non-residential construction with jobs picking up in civil engineering and heavy construction. Overall spending on construction projects has increased as well. The troubled specialty non-residential sector showed the biggest gains here, with a sustained four month spending increase in the time frame the report covered. The full ABC report also indicated that weather may have skewed the results of the report to some extent. Much of the eastern United States suffered a brutal and long lasting winter that pushed a number of project starts to the late spring. The ABC report also noted that the overall economic picture of individual states within the report affected the construction employment one. Georgia and West Virginia for example, struggled the most economically from October 2014-May 2015 and saw a corresponding loss of construction projects as well. However, the fortunes of these states have improved over the summer as they have elsewhere nationally. As a result, while experts aren't predicting regional booms for the remainder of the year, they are optimistic that the industry will continue to see slow but steady growth.